Forgiveness is the science of the heart; a discipline of discovering all the ways of being that will extend your love to the world and discarding all the ways that will not. 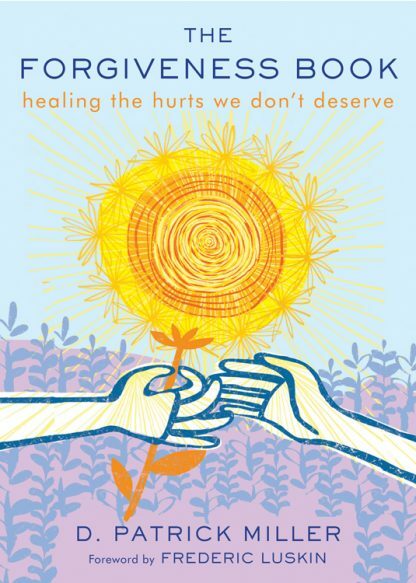 This is a book about growing up, becoming whole, connecting to others, and becoming comfortable in one's own skin. It is inspirational, healing, and programmatic. Miller explores the facts of forgiveness, including forgiving others, forgiving oneself, and the results of following the path of forgiveness. Also included is a section on forgiveness exercises (including journaling, making amends, and practicing patience). This is a broadly based spiritual and self-help book. Rooted in the philosophy of A Course in Miracles and drawing from other spiritual teachings (including Christianity, Sufism, Buddhism, the I Ching, and Jungian psychology), The Forgiveness Book is for those interested in spirituality, wholeness, and living a better and more fulfilling life. D. Patrick Miller is an author, writing coach, and literary agent and lives in Napa, California.